The 2018 BMCAA winning artist, Danae Valenza presents a multifaceted neon installation, with each work taking its shape from a directly transposed crack within the historic Temperance Hall. 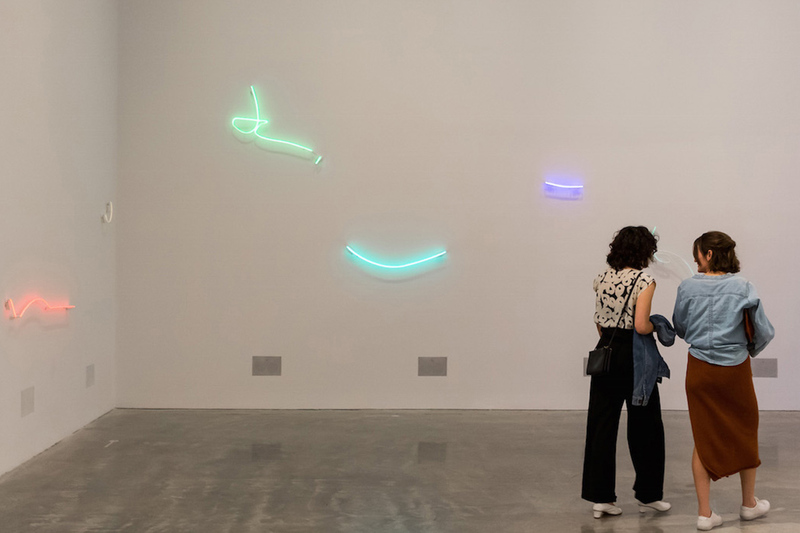 Established in 2016, the $12,000 invitation-only BMCAA is awarded annually to a contemporary artist who demonstrates a commitment to brave, innovative and transitional practice that contests the boundaries of contemporary art in new ways. 2018 Judges, Max Delaney and Natalie King decided to award the commission to Danae Valenza’s proposal, for its site-responsiveness, poetry and gravitas conflating the performative with the acoustic and sculptural. Danae Valenza is a Melbourne-based artist for whom music and collaboration is a major part of her art making. Valenza holds a Bachelor of Fine Arts (First Class Honours) from Monash University and has exhibited extensively within Australia and overseas.